In this three-part series on magnesium, we previously discussed what magnesium is and how it works in the body (part 1) and today we will take a look at why magnesium is important for health (part 2). Don’t miss part 3 where we will discuss how magnesium status is assessed. Magnesium is needed to regulate blood pressure and maintain a steady heartbeat. 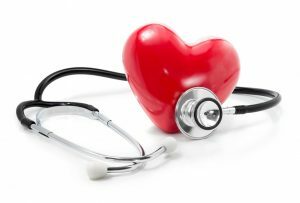 Having a low magnesium level is a risk factor for atrial fibrillation, which is an irregular, usually rapid heart rate that often causes poor blood flow and increased risk of stroke and heart failure. The Framingham Heart Study found that among 3,530 community-dwelling participants followed for up to 20 years, those with serum magnesium levels less than 1.8 mg/dL were approximately 50% more likely to develop atrial fibrillation compared to those with levels at 2.0 mg/dL or higher. A 2007 meta-analysis investigating the use of intravenous magnesium in treating acute atrial fibrillation demonstrated that magnesium was more effective in achieving rate and rhythm control compared to control groups (either placebo or antiarrhythmic agents). Also, more patients given magnesium responded to treatment compared to control groups (86% vs. 56%) and response time was shorter (~7 hour difference). Additionally, low magnesium has been associated with a higher risk of hypertension, cardiovascular disease, stroke, and sudden cardiac death. In a previous blog we discussed how magnesium is a key co-nutrient for vitamin D metabolism. Without sufficient magnesium, the amount of vitamin D that can be metabolized and used by your body is limited. 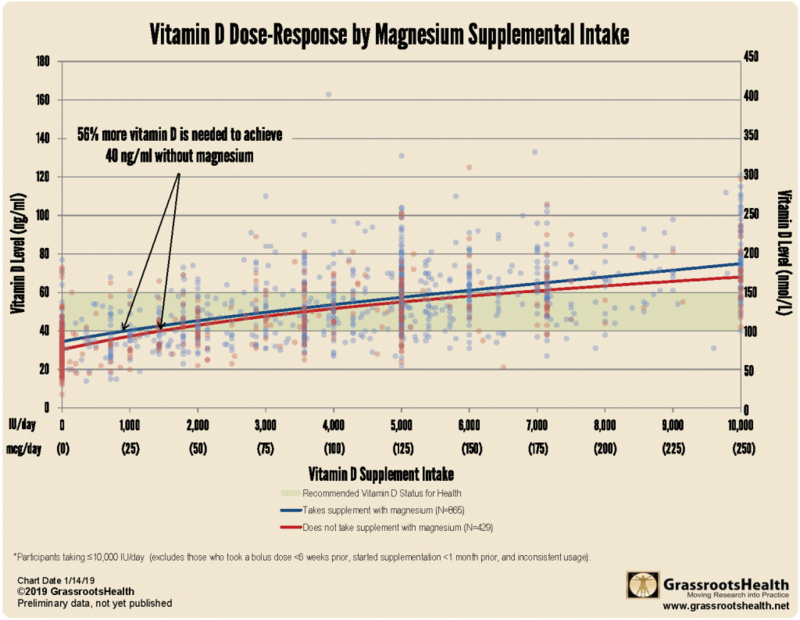 Using your data from the D*action questionnaire, we showed that 56% more supplemental vitamin D is needed to achieve 40 ng/ml for those not taking magnesium compared to those who are. Magnesium plays a key role in blood glucose control and studies have linked low magnesium levels with insulin resistance. Higher magnesium intake has been associated with a lower risk of type 2 diabetes. For example, a 2016 meta-analysis assessing magnesium intake found that for every 100 mg/day increase in magnesium there was a 19% reduction in type 2 diabetes risk. Additionally, a 2017 meta-analysis assessing magnesium levels found a 36% reduction in the risk of type 2 diabetes when comparing the highest to lowest levels. Studies have found an association between low magnesium intake and depression. Magnesium supplementation has been shown to provide clinically significant improvement within 2 weeks among adults experiencing mild to moderate depression. A trial comparing magnesium to an anti-depressant found comparable improvement in depression symptoms between the two treatments. In a previous blog, we discussed how magnesium and vitamin D work together to maintain strong and healthy bones. Vitamin D helps regulate bone metabolism which involves replacing old bone with new bone. When magnesium levels are low, osteoblasts (cells that form bone) are inhibited and osteoclasts (cells that break down bone) are promoted, resulting in an increase in bone resorption (a process in which calcium is moved from bone tissue into the blood). Studies have found that magnesium can improve bone mineral density and those with lower magnesium levels have a higher risk of osteoporosis. 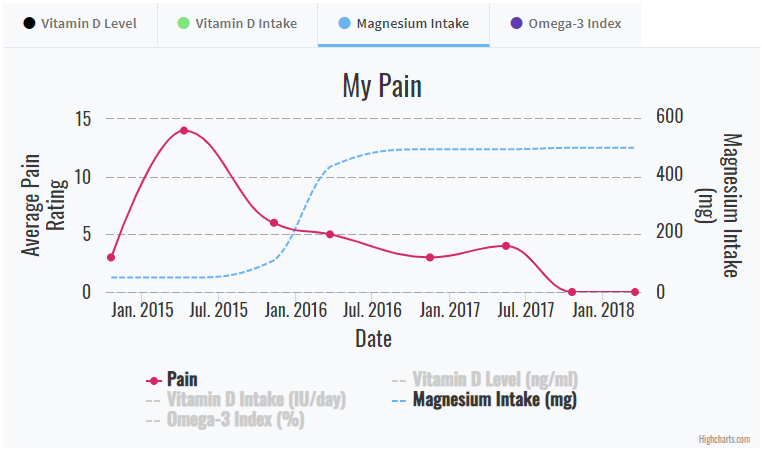 Low magnesium (and vitamin D) levels have been associated with migraines. Studies have shown that magnesium can help relieve migraine symptoms and reduce their frequency. A 2016 meta-analysis of 21 studies found that intravenous magnesium significantly alleviated acute migraine symptoms by about 75% both immediately (15-45 minutes) and longer term (24 hours). Oral magnesium, used for migraine prevention, was found to significantly reduce the frequency of migraines by 80% and the intensity of migraines by 78%.